Macphun has just announced that my favorite HDR program has a new version coming soon: Aurora HDR 2017. The new version has a number of features & improvements. It will be available for pre-order on September 15th and it will officially launch on September 29. Be sure to sign up here to receive more info as it is released and to be notified when it is available! In all, Aurora 2017 will come with over 20 key improvements and new features. More details will be released soon! Aurora 2017 will be available for pre-order September 15th and will officially launch September 29th. 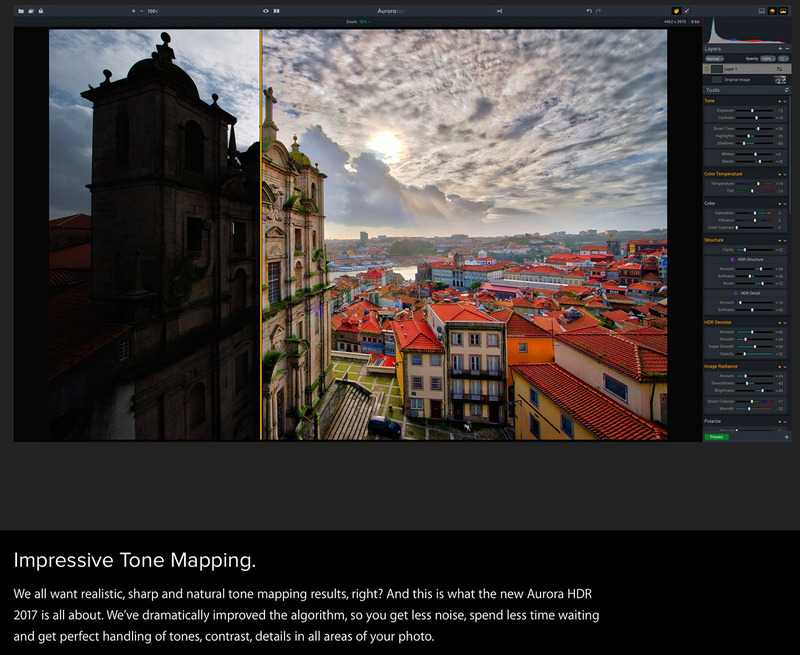 Don’t forget to sign up here for more info and to be notified when Aurora HDR is ready! Earlier this year Macphun Software contacted me to produce a FREE HDR class with Skillshare, a global learning community for creators that features thousands of online classes. The result was 2 separate online courses. A 32 minute Intro to HDR Photography: Shooting and Editing High Dynamic Range course and a 43 minute HDR Photo Editing: Perfecting Light and Detail course using Aurora HDR. The courses are free to take. If you are not a member of Skillshare you will need to sign up with a credit card and you will have 90 days access to not only my courses but all of the courses on Skillshare. You can cancel any time before your card is charged. For more info and to sign up be sure to check out my info page here! Read more about my 2 HDR courses, check out testimonials, and sign up. Get More Info On My FREE HDR Courses Here! This course features Aurora HDR from Macphun. You can download a free trial here. It is Mac only right now but I hear they are working on a Windows version. Even if you use another HDR program I am sure you will benefit from these 2 free courses! As many of you know, my favorite HDR program is Macphun’s Aurora HDR Pro. If you are looking for natural HDR photos for your landscape photos or a more gritty and “artistic” look for all photo subjects, Aurora is hands down the best HDR software program out there. It was released in November of 2015 and just recently they passed over 500,000 downloads! Looking for more info about this awesome offer? Want to download a free trial first? Head over to Aurora’s website today and check it out! In addition, there is a cool contest you are going to want to enter. Macphun has teamed up with leading photography magazines in the US, UK and Austrailia to feature the best HDR photos on a monthly basis. Partner Magazines include: The Outdoor Photographer (USA), Digital Photography (USA), Digital Camera (UK) and Australian Photography (AU). Each magazine will feature an ad spotlighting the winning Aurora HDR photo on their back cover each month for the next four months. You can find out full competition details and deadlines online here. My favorite HDR photo program, Aurora HDR, has just released an update. The above photo was from a 3-photo exposure bracket and fully processed in Aurora HDR.